Nurture Rights secures multi-year deal with Birmingham Stage Company. Classic picture book Dinosaur Roar will soon be transferring onto the stage, after Nurture Rights secured a multi-year deal with the Birmingham Stage Company. 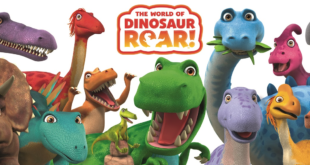 Dinosaur Roar Live on Stage will be produced by Neal Foster of Birmingham Stage and written and directed by David Wood OBE, one of the country’s leading writers and directors of plays and musicals for children. Birmingham Stage Company and Wood will be reuniting for the new stage production following their success of Tom’s Midnight Garden and Roald Dahl’s James and the Giant Peach and George’s Marvellous Medicine. The tour will begin next year and run into 2016. It will feature giant dinosaur puppets based on Paul Stickland’s designs and will feature songs specially written for the production. "One of the joys of working in children’s theatre is you find yourself being immersed in extraordinary subjects and the chance to learn all there is about dinosaurs in partnership with the Natural History Museum is a dream come true," said Birmingham Stage Company’s Foster. Peter Curtis – who founded Nurture Rights with Nick Barrington in 2013 – added: "We’re all really excited about this theatre production which we believe Birmingham Stage will craft into a truly spectacular experience for children and their families. "This marks a very significant stage in the lifecycle of Dinosaur Roar and gives young dinosaur fans the opportunity to engage with their favourite dinosaurs." 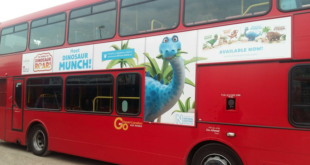 Nurture is currently working with the palaeontology team at the Natural History Museum in London to create the authentic dinosaur property for the under 6s. 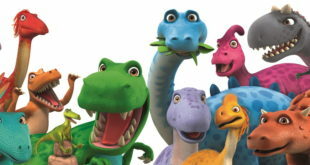 It will include an online world for pre-school dinosaur fans, a touring dinosaur exhibition specifically for the age group, as well as an IMAX experience. The original picture book was first published in 1994. It has sold over five million copies worldwide and is translated in over 30 different languages.